The third volume in the DLP Anthology series contains 10 lovely stories - from romance, to heartache, and all manner of vampire love in the Old West! 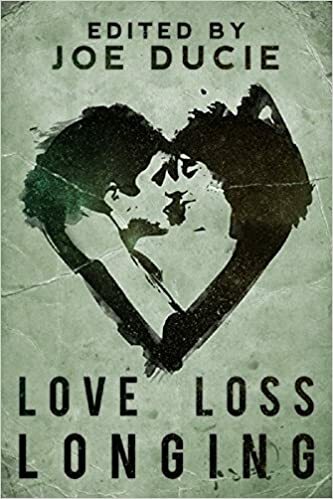 Love, Loss, Longing contains work from 10 strong voices - authors new and seasoned and who see romance and love through a multi-genre lens. "A truly excellent collection of stories. I would happily recommend any one of them individually, but in a single volume? A definite buy for the discerning short-story reader. Whether for bedtime reading, or those long, boring train journeys, these wonderfully written characters will delight your inner anti-hero and leave you wanting for more." "One of the best compliations of short stories I have read. Was blown away by the amazing variety of settings below the overarching theme. Definitely worth a buy and read!" "There lies the major problem with this otherwise well-put-together anthology: as an assembly of work by mostly unpublished authors, I've been limited in my ability to further read work from them. Hopefully, either a second anthology or longer published works will correct this error."